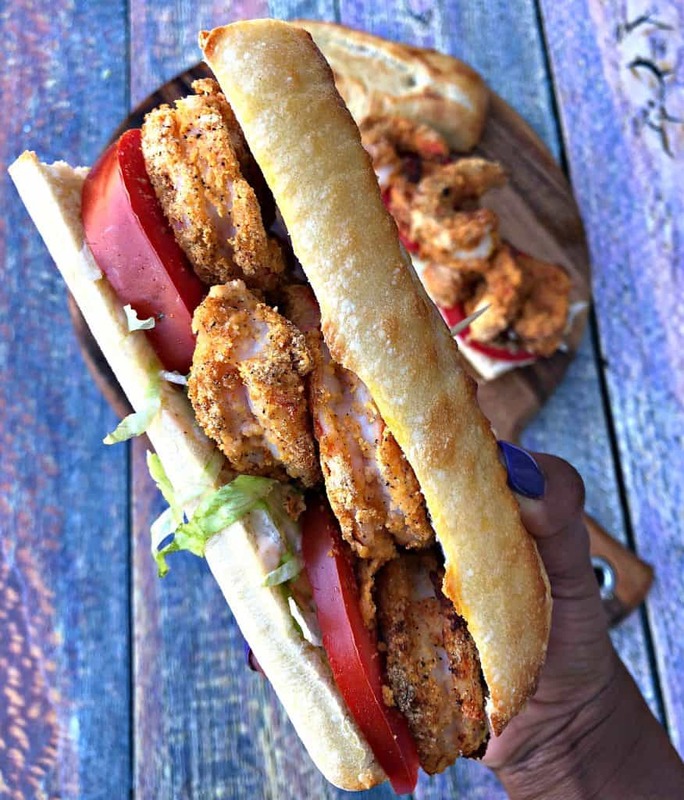 Fried Shrimp Po Boys with Remoulade Sauce were the perfect experiment for my Air Fryer! What I love most about my Air Fryer is the ability cut out a ton of fat from some of my favorite dishes! 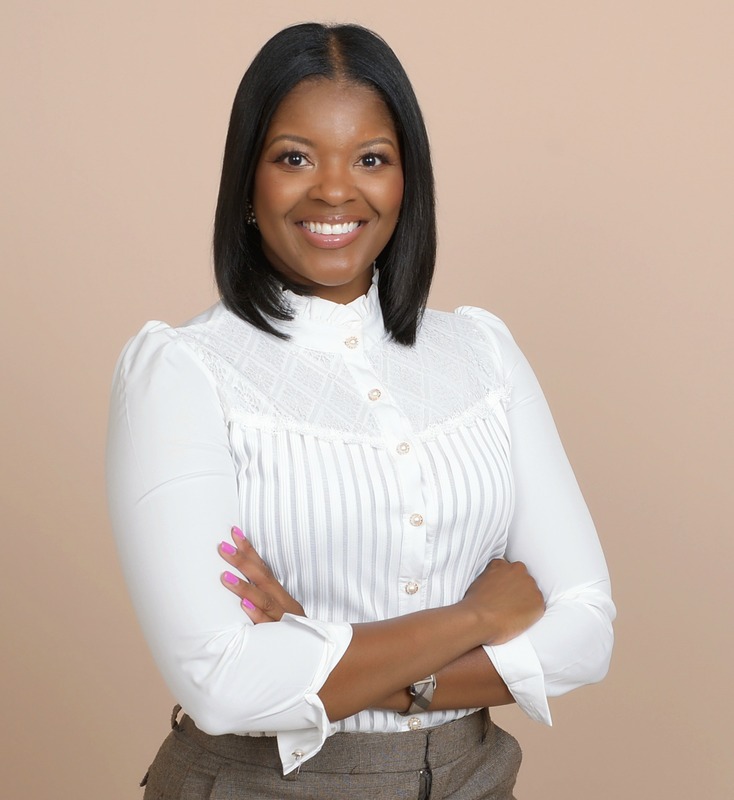 Click here to purchase the cookbook on Amazon! I haven’t had a good shrimp po boy in a while! I have not been to New Orleans in a couple of years. This is usually when I get my fix. 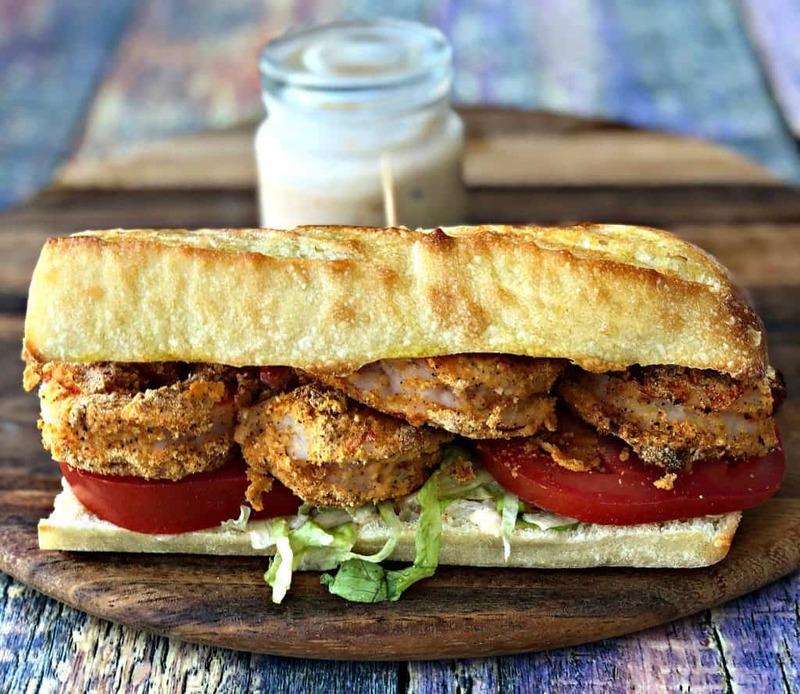 A po boy is a traditional sandwich from Louisiana. It usually includes fried seafood like shrimp, crawfish, or crab. I have also seen it with roast beef. The fried goodness is usually served on French bread or a baguette. The bread is usually toasted and crunchy. Trust me. Prepared correctly, the sandwich is everything and more! The key to tasty shrimp lies in the marinade. I always marinate my shrimp in advance. Because the shrimp in this recipe is fried, you will want to marinate the shrimp in buttermilk or whatever you prefer to use as a brine, in addition to your seasoning. Egg whites work well, too. The buttermilk will then adhere to the fish fry that is used to create crunchy shrimp. Now about the remoulade sauce. What is remoulade sauce? The sauce is mayo based. Let me stop here. If you are one of those people who hate mayo, I encourage you to try it anyway! And then let me know (with an informed opinion) how you feel. 🙂 It has garlic, a dash of Worcestershire sauce, and a few other things that you will see below. The sauce pairs perfectly with seafood. I am a huge fan of a lot of dishes from Louisiana. I recently posted my Louisiana Seafood Gumbo recipe. Check it out here. 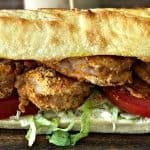 Air Fryer Fried Louisiana Shrimp Po Boy with Remoulade Sauce is a quick and easy low-fat recipe with air fryer shrimp and New Orleans Creole seasoning. Combine all of the ingredients in a small bowl. Refrigerate prior to serving while the shrimp cooks. Pour the buttermilk in a bowl. Dip each of the shrimp in the buttermilk. Place the shrimp in a Ziploc bag and in the fridge to marinate. Marinate for at least 30 minutes. I prefer overnight. Add the fish fry to a bowl. Remove the shrimp from the bags and dip each into the fish fry. Add the shrimp to to Air Fryer basket. Spray the shrimp with olive oil. Do not spray directly on the shrimp. The fish fry will go flying. Keep a nice distance. Cook the shrimp for 5 minutes. Open the basket and flip the shrimp to the other side. Cook for an additional 5 minutes or until crisp. Preheat oven to 325 degrees. Place the sliced bread on a sheet pan. Allow the bread to toast for a couple of minutes. Optional step if you prefer butter: Melt the butter in the microwave. Using a cooking brush, spread the butter over the bottom of the French bread. Assemble the po boy. Spread the remoulade sauce on the French bread. Add the sliced tomato and lettuce, and then the shrimp. Cook time above does not include timing to marinate. We recently got an oven that does air fry. These look fabulous! I can’t wait to try them! Thanks! I love shrimp po boys!! This looks sooo good!!! You are killing me… I was supposed to go to New Orleans for my birthday and it didn’t happen because of Hurricane Irma. Maybe I can create my own escape with these stellar Po’ Boys! Oh boy, I really need to get an air fryer. I love shrimp po boys!! I have never tried this before, but it sounds seriously delicious! I’m not the greatest cook, but I feel like you laid this out in easy to follow steps! I’ve been cutting out red meats, so I’ve been looking for some good seafood recipes! Can’t wait to try this!! I’ve been wanting an air fryer for so long, the shrimps look so perfectly crispy! I have heard great things about air fryers, this is great!! What do I need to know? They are pretty easy to use. Experimenting with cooking times is probably the first thing you will need to get used to. 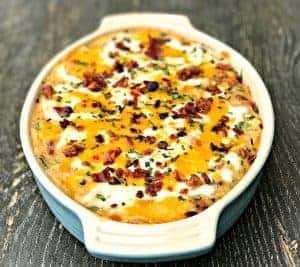 I always love a lightened-up recipe! And those prawns look absolutely incredible. So crispy and yummy on the outside! I’ve never used an air fryer but you certainly make it sound tempting! These looks great can’t wait to try! Those shrimps look so crispy! I like how you didn’t have to use a ton of oil to get the crunch. And yay, lucky for me I love mayo 🙂 We can’t wait to try your recipe! Oh my gosh, this looks delicious! I love the idea of an air fryer but haven’t tried one out yet. Oh my goodness, this looks too good- my mouth is watering over here! I love that you can get the crunch and taste of fried shrimp without all the excess oil. Will definitely have to try this some time soon. You had me at shrimp. This sandwich looks so delicious! I’ve never tried frying shrimps on my air fryer except fries but I’m going to try making this. Thanks for the recipe! 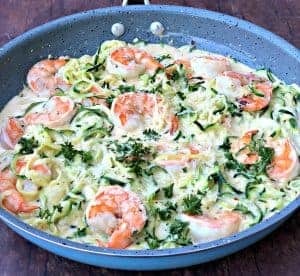 My husband would really love this since he is really into seafood unlike me who’s not really a fan guess I haven’t found a good shrimp recipe to make me love them, but I’m willing to try this since it looks incredibly delicious. God this looks and sounds so good! I need one now! Oh my goodness. It looks delicious!!! This looks so tasty! My kids and husband would gobble it right up. They love their shrimp. This is my first time learning of a Shrimp Po Boy type of sandwich. Thanks for the tips about the buttermilk, I need to consider that should I ever make this recipe. Chicken from an air fryer is my favorite way or preparing fried chicken. I haven’t tried it on shrimp, but I’m sure it would be just as good. I’ve never been able to get the timing on shrimp right. I almost always overcook them. Last year we went to Louisiana and I tried shrimp po boy and it was so good! I never thought of making at home but I would love to try this at home! Tasty shrimp in a bun! yummy! I think my husband would love this! This looks amazing. 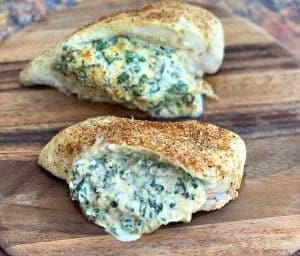 I need to get an air fryer just so I can make this recipe. I am sure it will be a big hit in my house. po boys are the best! 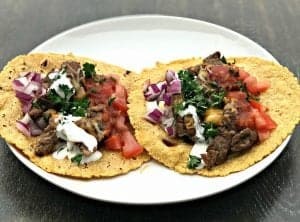 ate them everyday when i was in NOLA and good to know that i can have them now with this recipe! thanks so much! I feel like I’m missing out because I’ve never had a po boy before! Looks so crunchy and yummy! Looks delicious and makes me miss home! I really wish we could get crawfish up here. Pinning. Wow, that looks like a robust sandwich! I love my air fryer, there are so many yummy things that I have yet to make it in that I need to try. YUM! 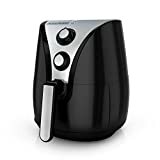 I use the air fryer almost daily, and it is a small appliance that is commonplace on my kitchen countertop. Definitely a great investment, especially for those that have busy lifestyles. 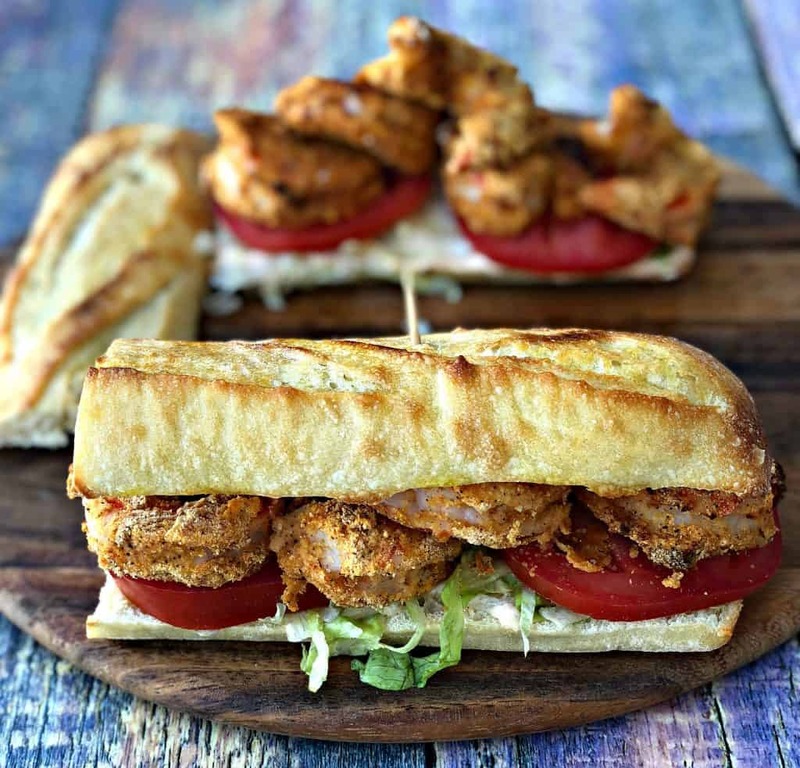 I love Po Boys and this one looks so delicious! We have an electric fryer too, but an air fryer sounds like a great upgrade! 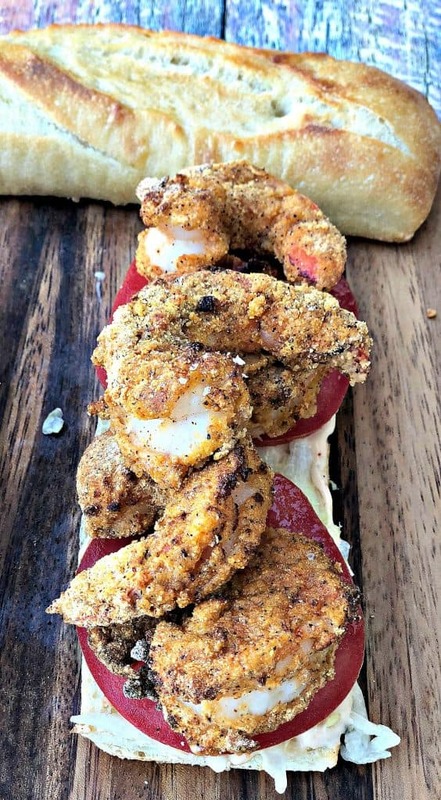 I always get a fried shrimp po boy when I go to New Orleans, although I have never actually made one myself. I’ll definitely have to give this a go! My oldest would probably love an air fryer. I’ve been trying to think of something perfect for him that he wouldn’t expect, and that is going to be it (for Christmas). A Shrimp Po Boy is a food I’ve never had. I am glad you explained that it is a traditional sandwich from Louisiana. 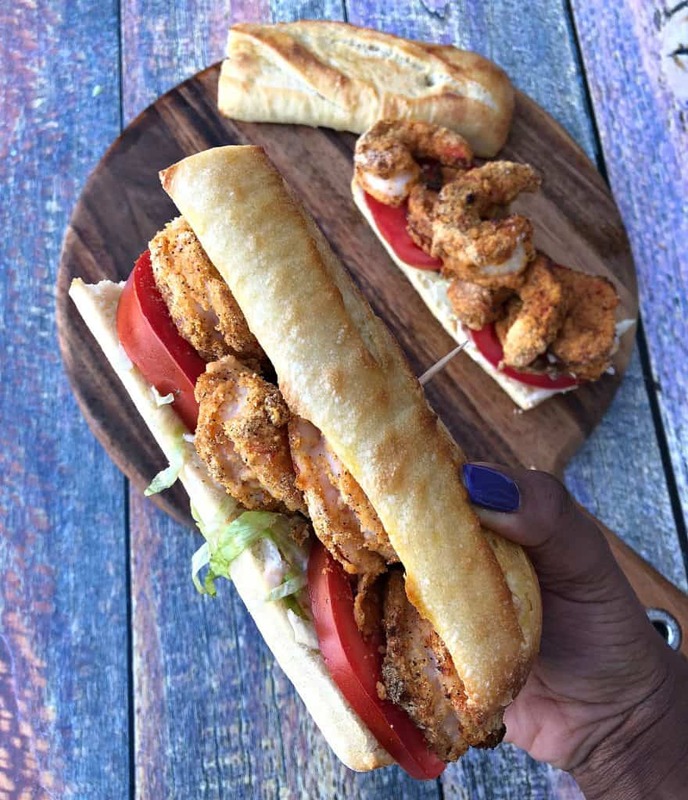 I love sea foods so the the fact that it includes fried seafoods like shrimp, crawfish, or crab makes me think I would really enjoy the Louisiana Shrimp Po Boy. Why is it referred to as a “po boy” any way? It dates back to the early 1900s. The sandwiches were fed to streetcar workers on strike that were referred to as poor boys. OMG These are really cool ! I’ve never had them but would love to! After reading your post and couldn’t help feeling hungry with your delectable recipe, i am sold with this air fryer! My Mom will love it as well. I have been seeing the air fryers everywhere. They are pretty awesome. 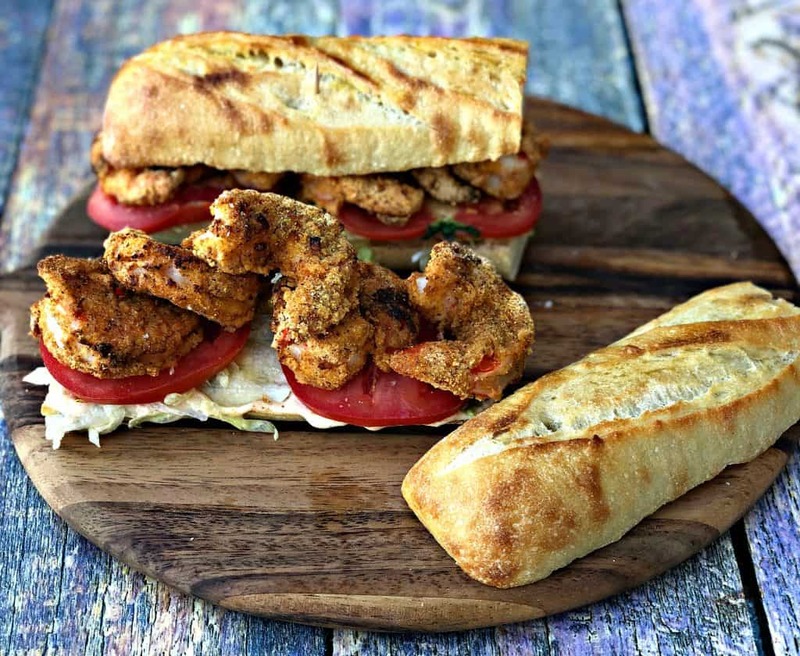 I love a good Po Boy and would love to try making one using an air fryer for sure. Looks delectable. This sounds delectable! I love a good Po Boy — always delicious!